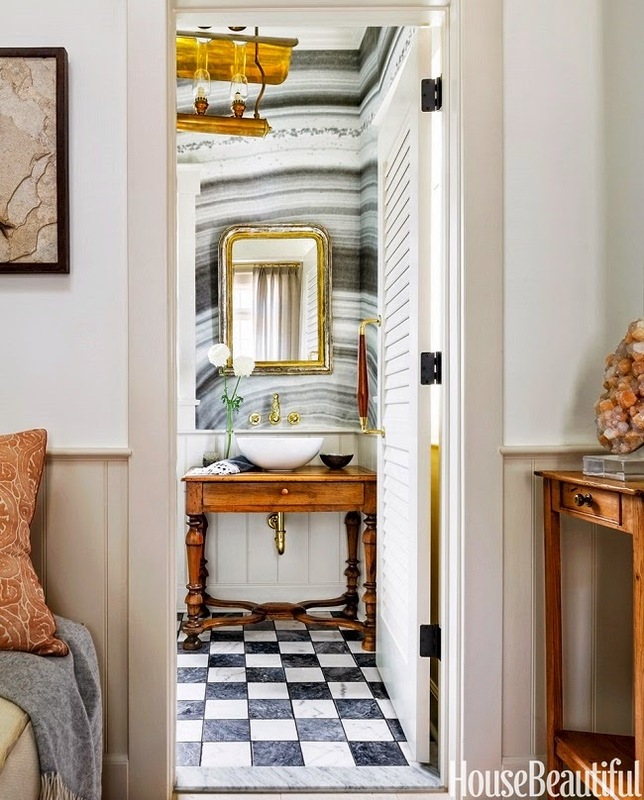 Mix and Chic: A chic and charming California bathroom! This stunning guest bathroom in California is designed by Amy Meier. Using a mix of materials and textures, this small space oozes style, warmth and charm. Let's check out this fabulous bathroom, shall we? Such a delightful bathroom! 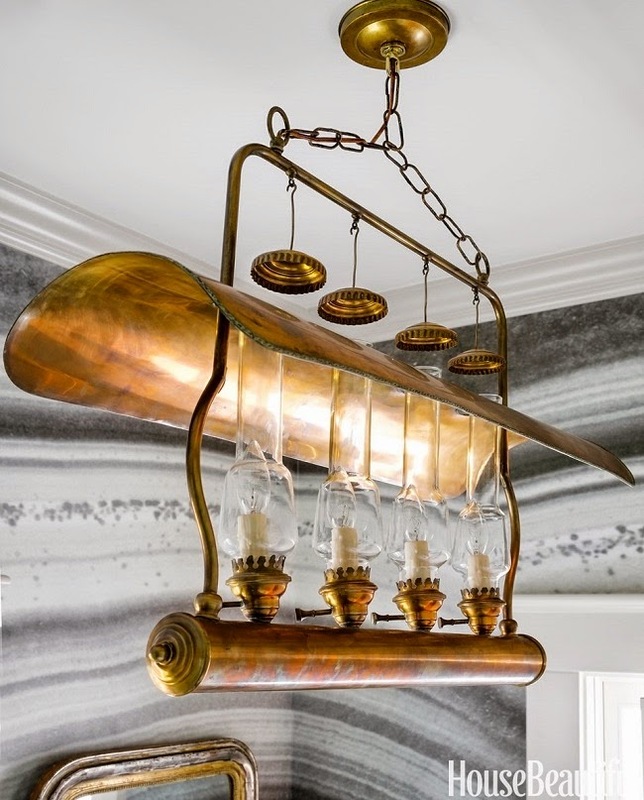 I was absolutely mesmerized by the beautiful customized wallpaper and the brass fixtures. 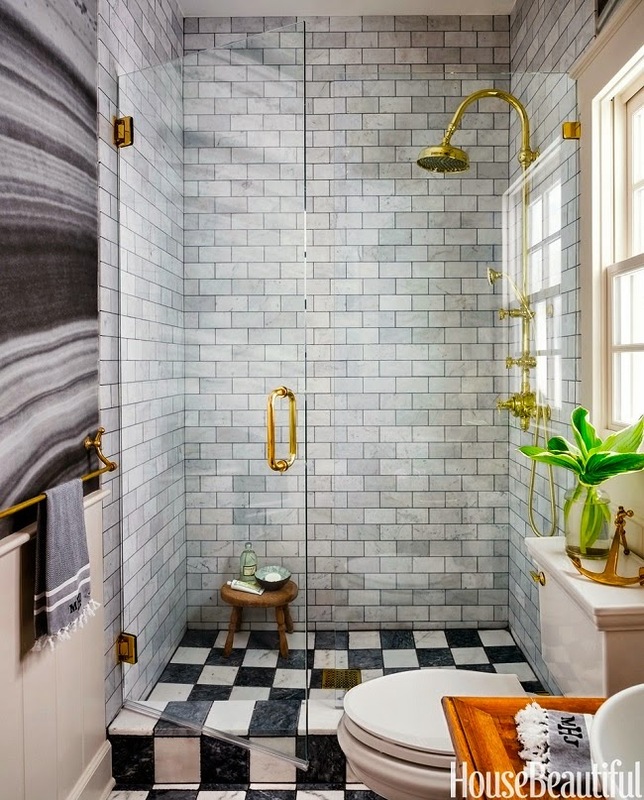 I love how this bathroom evokes an air of old world charm but still look refreshing. A very chic and inspirational space! Thoughts? Really stunning! I love that wall treatment! Thanks for sharing! I like but not entirely sure. Not sure about the walls. Do love that lamp though!